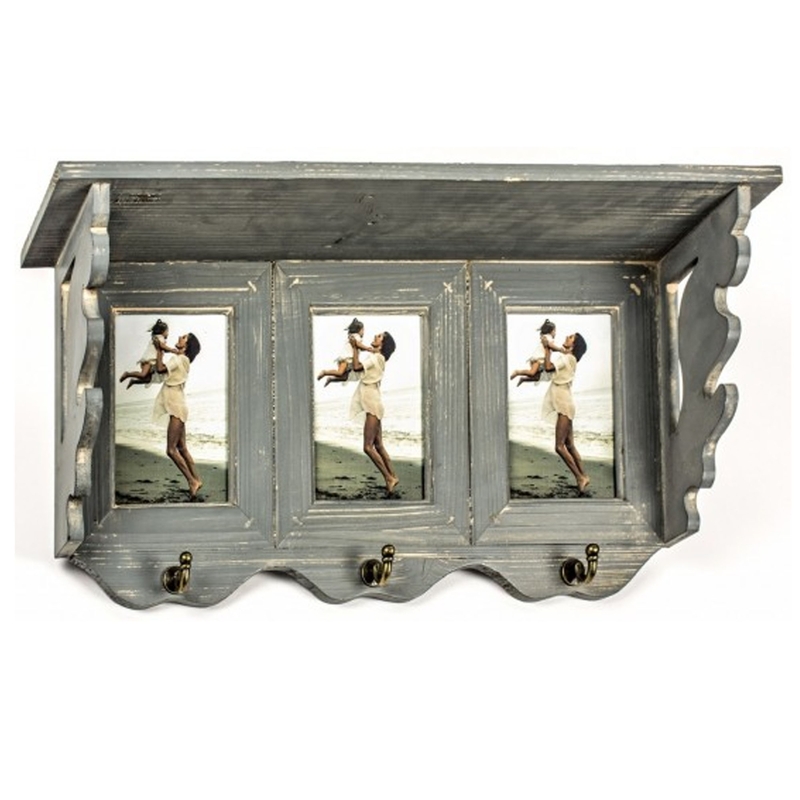 This is a beautiful shelf which includes 3 photo frames beneath. The photo frames also have 3 hooks on, adding to the practicality of this item. It's insanely useful for storage, whilst also looking incredible in the process. It has a stunning greyish colour which is very modern.